Hello. Just wondering if you’ve read the other books in from the Mythology Series or did you just pick this book up randomly? 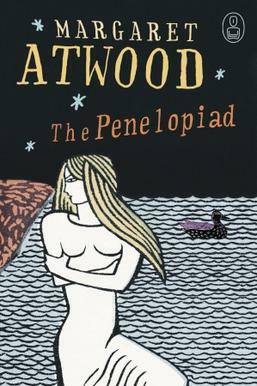 I actually picked it up as I had not yet read anything by Margaret Atwood. I just had a look at the Canongate Myth Series titles and yes I have read Victor Pelevin’s The Helmet of Horror, which I enjoyed quite a lot. Would you recommend anything else on the list? I have several of the books from the myth series but I haven’t read most of them. other then The Penelopiads, the only other one I read was “Binu and the Great Wall” by Su Tong. It was alright. It is a legend of a woman in search of her husband who was forced by the government to work on the Great Wall of China. Was the Helmet of Horror good? I have that book as well, but haven’t gotten around to reading it. It’s very interesting. I’m a big fan of Pelevin, which helps. Read Babylon by him if you haven’t tried him yet. Big ideas and wicked humour. Will keep it in mind, thanks. Btw…I like your blog. Interesting how it came about. Good luck and hope you don’t stop blogging book reviews when you eventually get your visa. Also…you can read one book in a single day? Amazing feat lol. Cheers. This is going to run for a while yet – visa applications can take upwards of a few months. I’ve got a lot of time on my hands, so reading a book a day occupies me and keeps me out of my wife’s hair.